The Humanist Community Center is located near downtown Mesa, Arizona. Back in the “old days,” the Humanists of Phoenix were a nomadic tribe, wandering from home to home, holding small gatherings and meetings of like-minded individuals. As the group continued to grow and personal homes became too small to contain our numbers, HSGP began holding meetings at various restaurants. But soon, even those became too small as the membership grew significantly under the leadership of President Susan Sackett. 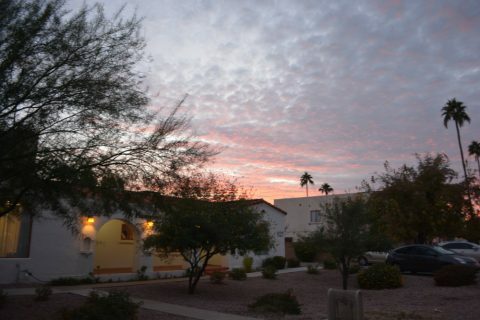 Through her vision for a permanent meeting place and with substantial financial help from HSGP member Hal Saferstein, in 2005 HSGP purchased an older home in Mesa that featured adobe walls. 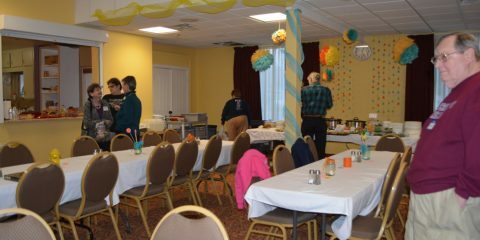 With Susan leading the renovation effort and Shelley Newman acting as project manager, a contractor along with the help of many HSGP members greatly enlarged the building. The end result includes a massive great hall to accommodate our still-growing membership for meetings and activities. Thanks to Susan’s vision and efforts we moved into our new home in 2010. That home is now the Humanist Community Center we know and love today. This is where the majority of our meetings take place. We gather for breakfasts, lunches, and occasionally dinners. 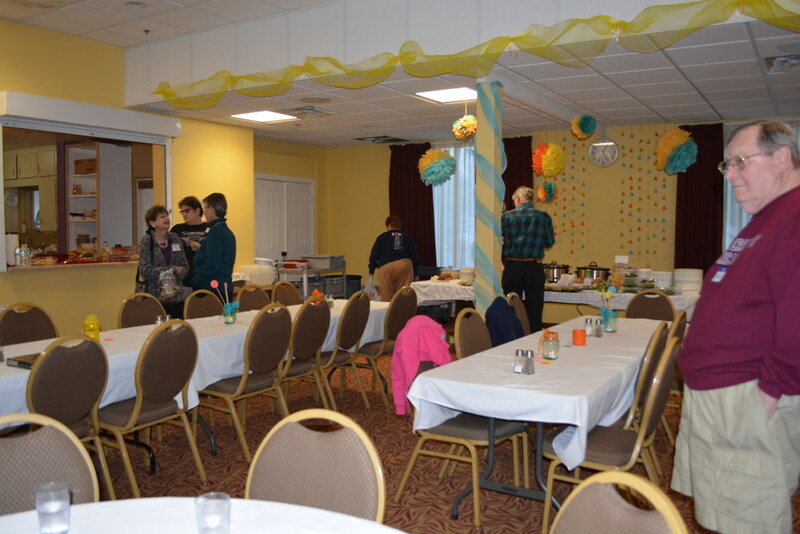 Its size allows us to accommodate a very large group of people quite comfortably. We’ve held talks, lectures, discussion groups, game nights, musical performances, and more here. Let yourself be transformed through your experiences here. Make memories and friends you won’t soon forget. No Humanist community center is complete without a room dedicated to knowledge. A Humanist favorite, the library is a relaxing, quiet place to go. Within, you’ll find two couches and two very comfy chairs surrounded by shelves of books. Historical note: Much of the contents of the library existed before HSPG had a permanent home. For many years President Susan Sackett and her Vice-President Jan Wright patiently lugged bins of books to every meeting for the benefit of members who wished to check out books. Many of our members are parents and have small children, so we’ve designated an area for them to play and learn. Our children have access to books for those who can read or just look at pictures, art supplies for those feeling crafty, as well as Legos and Kinex for the budding engineers. Just outside the children’s room is a fenced in, grass-covered play yard. The yard is equipped with a sunshade and a toy castle. We have other small area sports equipment as well for the cooler months. When the weather cools down, the patio is our go-to place to enjoy each other’s company and the fresh air. Equipped with ceiling fans and lights, the patio is also a great place to enjoy dinners with a beautiful Arizona sunset. While humble and cozy, the kitchen is where we assemble our breakfasts, lunches, and dinners. Equipped with a small refrigerator/freezer, a stove for warming food, mountains of plates and cups, the kitchen helps deliver the goods that keep our community well fed and happy. The Humanist Community Center is ADA Compliant. If you have any difficulties, please reach out to us and let us know how we can serve you better. For the hearing-impaired who have appropriately-configured hearing aids, a Telecoil system for enhanced listening is available. Let us know it needs to be turned on for you.